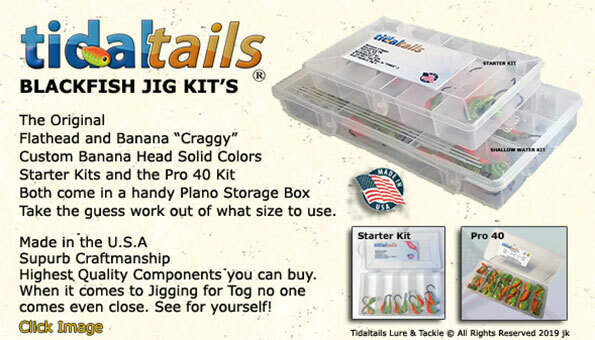 We have introduced this starter kit with jig'z and carry case that has all the jig'z needed to get started. 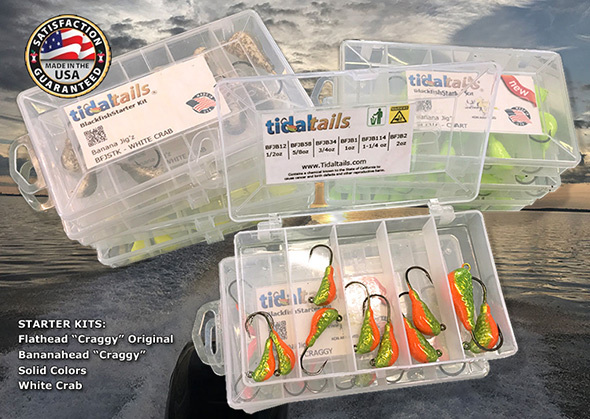 STARTER KIT - Original Flathead "CRAGGY" Jig'z. Please note: Flatheads are only available in the Original Craggy Color. See below for Banana Jigz in other colors. 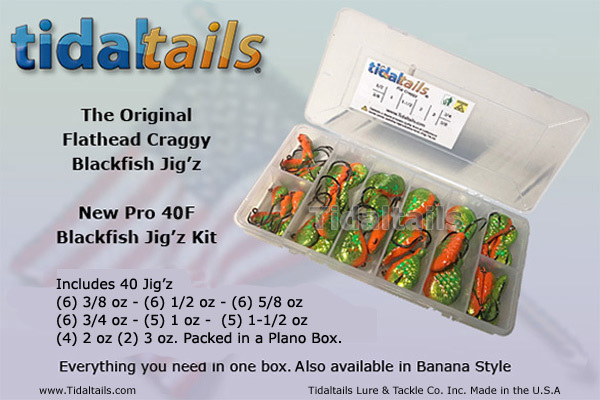 STARTER KIT - Banana Heads "CRAGGY" Jig'z. STARTER KIT - Banana Heads in other colors. 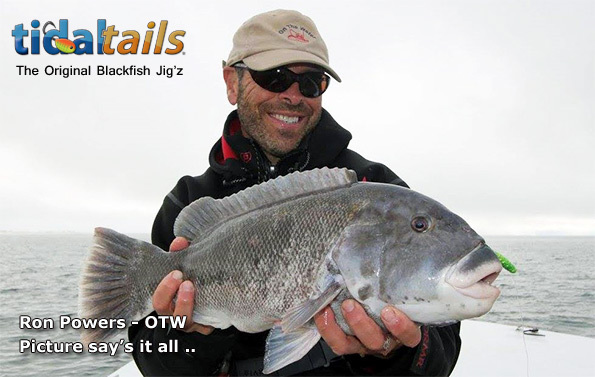 Tidaltails PRO 40 Blackfish Jig'z Kit. Packed in a Plano Storage Box. Customers also looking at the following items. Seaguar's exclusive, proprietary Double Structure Technology, our FC Leader is one of the best on the market. Fluorocarbon leaders' advanced strength allows use of smaller pound test vs. other fluorocarbons These stainless steel fast snaps can be used in place of lock snaps or snap swivels. The unique design allows for quick attachment of your rig or lure and can also be used with a swivel. Berkley® Saltwater Gulp!® is without a doubt the most effective and most revolutionary artificial bait ever invented. It truly out catches ANY other baits on the market. PayPal is a leader in security technology. 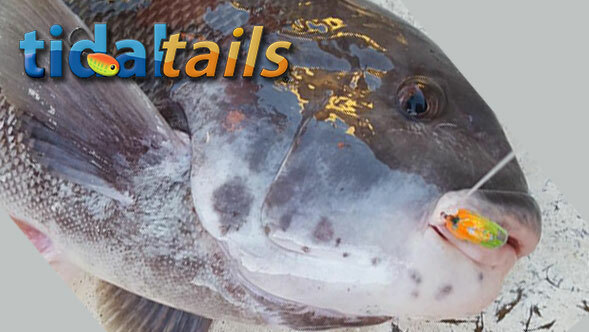 ©2015 Tidaltails® Lure & Tackle, Co LLC. All Rights Reserved. 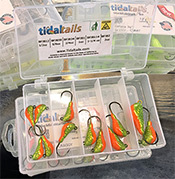 Design/Developed by: Capt John Knight Sr, Tidaltails & Capt Paul Fisicaro, Fisics Web Designs. 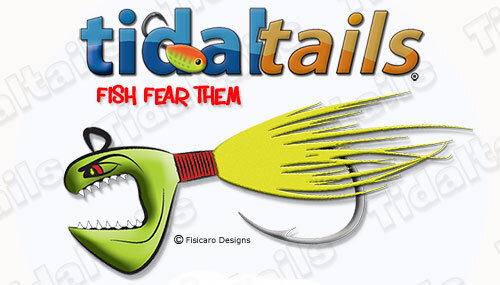 reproduced in any manner without prior written permission from Tidaltails®Lure & Tackle, LLC.